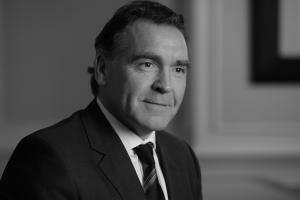 Ian is Head of Products, Services & Marketing at Coutts and a member of the Wealth Division’s Executive Committee. Ian is also a member of the RBS Group Communications & Marketing Board and a Director of Adam & Company. Ian’s career spans more than 25 years, during which time he has gained extensive experience in business development, strategy and marketing in international private banking and asset management. Ian has held a number of senior marketing positions, notably at Barclays, HSBC and Paribas. Ian’s career has been largely international but he has been based in the UK for the last eight years. Having been educated in the UK, USA and France, Ian is bi-lingual in French and of Swiss and British nationalities. Ian is particularly focused on client experience in financial services and the impact of regulation and its comparative application across jurisdictions. Outside of bolstering Coutts’ investment management proposition, Ian has been instrumental in spearheading a number of creative and charitable initiatives at Coutts, including the development of a roof garden at our Strand headquarters, with involvement from The Clink Charity. In 2012, Ian launched a fundraising programme which saw Coutts’ Products, Services & Marketing team nominate a Charity of the Year, the London Air Ambulance, for which it consequently raised over £50,000. This initiative has since been broadened to the wider Coutts UK business, and continues this year with a focus on homeless charity, The Connection at St Martins. Ian is a founding trustee of the newly-established Coutts Foundation whose mission is to support sustainable solutions for tackling poverty in the geographic communities where Coutts operates.